Read complete article on pH analyzer interview questions and answers for your interview preparation. pH is a measure of the acidity and alkalinity properties of an aqueous solution, which are determined by the concentration of hydrogen ions (H+) in the solution. Water has the molecular formula of H2O and almost always exists in the stable molecular state of H2O. However, a small proportion also exists in the form of ions known as hydrogen ions (H+) and hydroxyl ions (OH–), and the balance between these hydrogen ions and hydroxyl ions determines the pH. The solution becomes acidic if there are many hydrogen ions, while it is alkaline if there are many hydroxyl ions. Because the product of hydrogen ions (H+) and hydroxyl ions (OH–) is constant in any aqueous solution at the same temperature, by measuring the concentration of hydrogen ions (H+) it is possible to determine the degree of acidity or alkalinity. For a neutral solution, the pH is 7 because [H+] = ; for a 1/10 mol/L HCl solution, the pH is 1 because [H+] = ; and for a 1/10 mol/L NaOH solution, the pH is 13 because [H+] = . Several methods of measuring pH have been developed and upgraded. Currently, the glass electrode method is most often used in various fields. A platinum electrode on which hydrogen gas is adequately adsorbed, is called a hydrogen electrode. Placing this electrode in a test solution generates a potential corresponding to the hydrogen ion concentration (to be precise, the hydrogen ion activity) of the solution, and thus the pH of the test solution can be determined. This method is to determine the pH from the potential difference between the two electrodes: a platinum electrode and a reference electrode. A small amount of quinhydrone is added to a test solution and after vigorous stirring, two electrodes are immersed in the solution to determine the potential difference. This method utilizes the fact that dissolving quinhydrone in a solution changes the ratio of benzoquinone to hydroquinone depending on the pH of the solution, thereby changing the potential difference. It is simple, but it can apply only to a test solution with pH 8 or less and cannot be used when a test solution contains oxidizing or reducing substances. Because of these application limitations, now this method is almost out of use. In the antimony electrode method, an antimony rod with a polished tip is immersed into a test solution together with the reference electrode to obtain pH based on the potential difference between the antimony rod and reference electrode. This method is no longer used often with the exception of certain applications (where accuracy is not required when measuring a solution containing fluorine) because the reading varies depending on the condition of the polished electrode and reproducibility is poor. If two solutions with different pH exist separately on two sides of a thin glass membrane, a potential difference develops between the two sides, which are proportional to the difference in pH of the two solutions. Measurement of pH using a glass electrode makes use of the potential difference developed between the two sides of a thin glass membrane that separates two solutions with different pH. This potential difference is proportional to the difference in pH of the two solutions. As shown in the figure below, container G made of a thin glass membrane is filled with solution B with known pH and container G is immersed in solution A. Potentials develop on both sides of the glass membrane. By immersing electrodes E1 and E2 in solutions A and B, respectively, the potential difference between the two electrodes can be determined with voltmeter V and thus the voltage developed on the glass membrane can be known. Generally, when the temperature of the solutions is 25℃, if the pHs of two solutions differs by 1, an emf of approx. 59 mV is produced. What is temperature compensation of pH meters? The emf generated by a pH sensor changes depending on the temperature of the test solution. This is because the potential generated on the glass membrane of the pH sensor is proportional to absolute temperature T as represented by Nernst’s equation. Temperature compensation is done to compensate these temperature-based changes in the emf with the pH analyzer (or pH transmitter) so that it is independent of temperature. Note that this temperature compensation is unrelated to changes in the pH value of a test solution caused by temperature. What is temperature compensation (reference temperature conversion) of a test solution ? For general pH measurements, changes in the pH value of a test solution caused by temperature will not be compensated. However, for deionized water measurement, the temperature of a test solution may be compensated independently of the temperature compensation of a pH sensor. What is alkaline error ? Because the magnitude of the alkaline error varies depending on the glass membrane compositions, a glass electrode for high alkalinity should be used if the pH sensor is used in the alkaline region. However, this does not guarantee that the alkaline error is eliminated. What is acid error ? The acid error occurring in the region of pH3 or less depends on the glass membrane composition and the types of acids. Once a glass electrode has acid error, it cannot be restored quickly even by immersing it in a neutral solution; recovery takes a considerable time. However, the acid error is small compared to the alkaline error and so is unimportant for practical use. 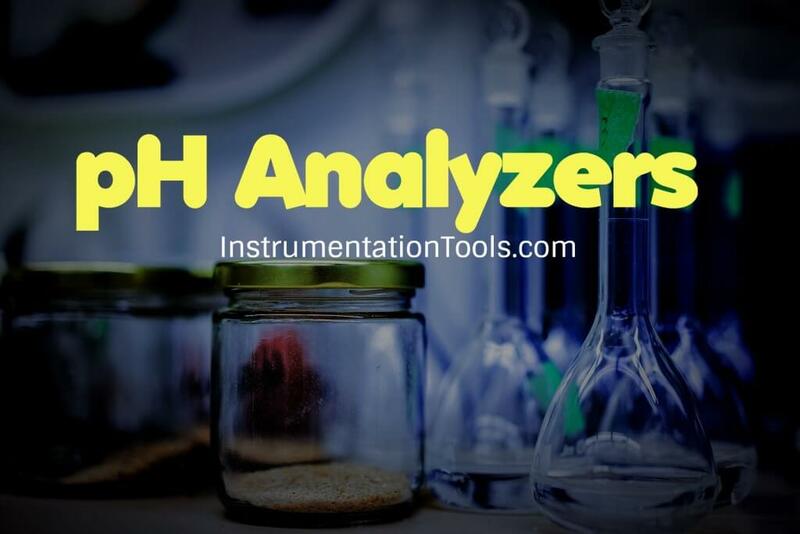 How is a pH analyzer calibrated with the standard solution ? To perform pH measurement, the pH meter must always be calibrated using the standard solution. The general calibration method is “two-point calibration” which is performed using two types of pH standard solution, but the simple “one-point calibration” is conducted using one type of pH standard solution. As it is also called a “buffer solution,” a pH standard solution has the property (buffer action) of protecting against the addition of an acid or base and minimizing pH changes. What is zero calibration (asymmetry potential adjustment) ? The interior of a glass electrode is filled with a pH7 solution. If the glass electrode is immersed in a pH7 solution, the potential difference should be 0 mV because identical buffer solutions are present on both sides of the membrane of the glass electrode. The asymmetry potential also occurs due to contamination of the internal solution of the reference electrode, dryness of or clogging in the liquid junction, etc. in addition to the glass electrode. To eliminate this asymmetry potential, a pH sensor is zero calibrated using the pH7 standard solution (pH standard solution of neutral phosphate). What is span adjustment (electric potential gradient adjustment) ? Actually, the emf per pH of a glass electrode is not always equal to the value of 2.3026RT/F in the Nernst equation. 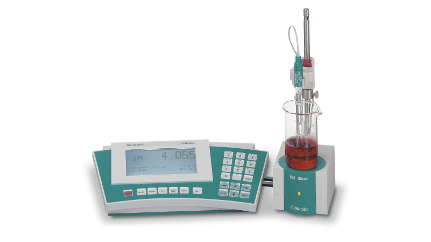 Therefore, a pH meter requires compensation for small differences from the theoretical slope of potential, which can be done by adjustment using a pH 4 or pH 9 standard solution. This is called span adjustment. How should pH standard solutions be stored, and for how long ? Prepared standard solutions should be stored in hermetically sealed, high-quality hard glass or polyethylene containers. The pH value of the standard solution may change(Note) after long-term storage. Before using a standard solution that has been stored for a long time after preparation, compare its pH with that of a freshly prepared standard solution and ensure that they are the same. What are the conditions of a test solution? What is the ORP analyzer, and what is it used for ? ORP (Oxidation Reduction Potential) refers to the potential that arises due to electron movement at the time of oxidation and reduction. It is also called Redox (Reduction Oxidation Potential). In this process, a variety of chemical reactions are used for refinement, removal, separation and the like, and oxidation reduction is one of these reactions. The ORP value is an effective index for process management such as detecting the end of a reaction. The major applications include water discharge for plating, removal of chlorine gas, sewage treatment and the like. pH is a measure of the degree of acidity or alkalinity of a substance. Modern instruments have made pH measurement almost as simple as temperature measurement. What tips can you give for pH buffer use? These solutions of known pH value allow the user to calibrate the pH meter to make accurate measurements. Standardisation should be performed with fresh buffer solutions. Buffers used should bracket the range of pH for the samples being tested. How can I get reliable pH measurements? Reference electrode frits must be free-flowing to allow internal solution to make contact with the sample solution. Maintain the frit in a clean condition. How should an electrode be stored when not in use? How should a pH electrode be cleaned? How should an electrode be reconditioned? Prolonged use, excessive alkaline immersion, or high-temperature operation will cause surface leaching of the membrane glass. The result is extremely noisy and/or sluggish response, which cannot be remedied simply by cleaning the electrode. If this occurs, the following procedures will often provide stability and pH sensitivity. Always consider the electrode’s materials of construction before using these procedures. 1. Empty the reference chamber, rinse with deionised water, empty and refill with the specified filling solution. 2. Soak the electrode in hot (50°C – 60°C) reference electrolyte for a few minutes. 3. Soak the electrode overnight in pH 4 buffer. 4. Remove any exterior salt deposits with distilled water. 5. If the filling solution does not flow through the junction by this time (generally due to an unusually low junction porosity), use gentle suction to pull filling solution through the junction and repeat from step 2.
a. Use a solvent specific to the solution or material plugging the junction, if possible. b. Soak the membrane overnight in 0.1 M HCI. c. If measurements have been made in samples containing protein, remove protein deposits by soaking the electrode bulb in 0.1 M HCl containing 1% pepsin. d. Repeat from step 1. Pis send to.. ametek 900 analyzer working principle. And questions answered..